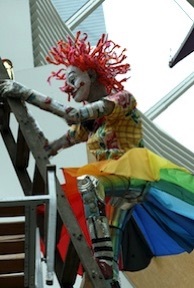 She has been working with recycled materials since 1997, and also has a background in design for performance. 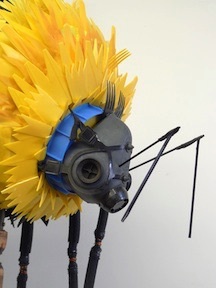 Michelle makes bespoke recycled and sustainable sculptures for organisations, often created from waste materials relevant to the business or event. 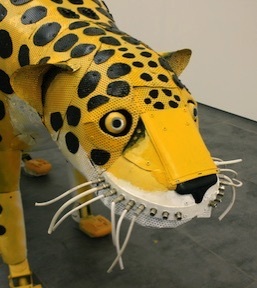 Michelle also works with galleries, schools, and other organisations as a freelance artist educator, and creates unique awards and trophies from reclaimed materials. Recent projects: Black cab made from coffee capsules, and Sunflower Windmill at the Lush Summit. 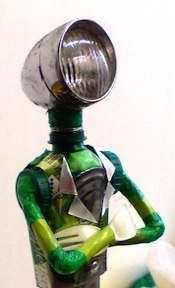 Nottinghamshire-based artist Michelle Reader reuses waste materials to create unique figurative recycled sculptures.